Two effing years since the iPhone 3G came out with the app store and the only thing anyone is doing is just copying Apple. Microsoft, of all companies, could seriously leverage the entire XBLA catalog and the Xbox brand with mobile gaming. WTF are they waiting for? For Apple to come out with an iPhone Game? Everyday that went by, I prayed to the gaming gods for someone to come along and build my dream device. Mobile chips certainly haven’t slowed down. ARM is pushing out some powerful chips that sip power. And we have two competing Mobile GPU’s now. One from ImgTec (The newest consumer chip: the SGX 540 in the Galaxy S) and Qualcomm which bought the mobile gpu from ATi which has the Imageon series. The latest one, the Adreno 205 which is in the G2, looks to be an excellent GPU. Did you know that the Adreno is a modified Xenon core? The Xenon GPU, which happens to be in the Xbox 360. And guess which chips Microsoft prefers for Windows Phone 7? If you thought they were from Qualcomm, you guessed right. I’m almost done with my rant, and I promise I’ll show the result of my project soon, but my point is that smart phones coming out today are sickly powerful. Look at the Unreal tech demo for the iPhone. And the Galaxy S has better hardware than the iPhone 4! Surely, they don’t expect us to play FPS’ via touch controls… do they? God, I hope not. One day, about six months ago, I heard about the Samsung Galaxy S. I was interested in switching to Android and the hardware combined with 2.2 sounded real nice. I was eagerly anticipating the i9000 to come in in June. I picked it up and it had a few quirks, but I wanted to stay with the hardware, and I know that software can iron itself out, regardless if Samsung devs on it or not. Then… then I saw the first pics of the Epic 4G. I studied the only available shot of the keypad for as long as I could and when that wasn’t enough, weaseled my way into the Samsung Galaxy S event in NYC to get my hands on the device. I was relatively confident that I could pull off something for the keyboard and I didn’t want to settle for the game gripper. Not that there’s anything wrong with the game gripper, it’s just not for me. Hell, I know my mod isn’t for everyone, but the number one reason I don’t want to resort to a game gripper is that I don’t want to carry around an attachment with my smartphone. I only carry my smartphone and wallet with me and I’ve grown accustomed to not equipping a backpack in a long time. The other reasons I don’t like the game gripper is that it slips around at the worst possible moments and that it isn’t even available for my phone yet. So why did I decide to mod the physical keyboard? 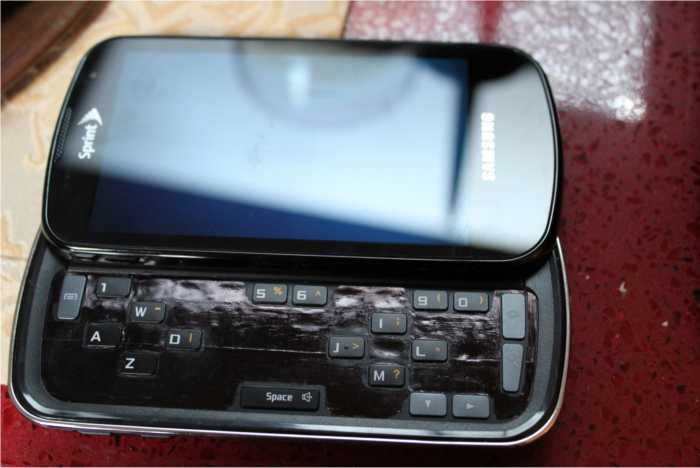 The modded keypad is anchored quite securely with the Epic 4G so it has less chance to move around. I use Swype for 95% of all my typing. 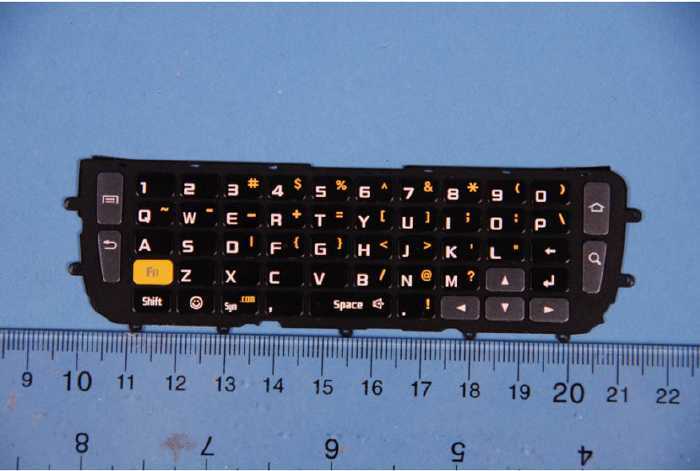 So in essence, the physical keyboard is mostly ancillary. Now that I’ve explained my ambition and reasoning to destroy a perfectly functional physical keyboard and create an awesome gamepad, I can begin to give you the details on my quest to create my dream machine: a Gaming Smart Phone. 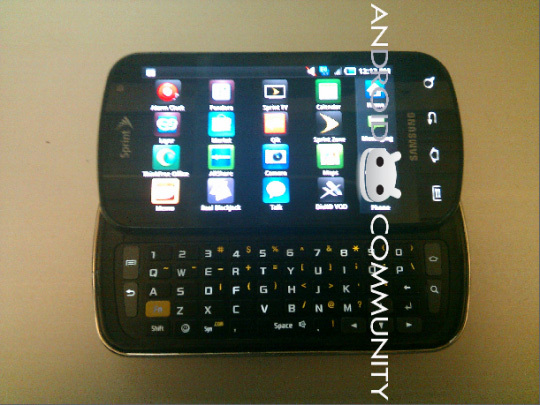 Since I can only work with the buttons that are on the actual Epic 4G, my design is fairly limited. It took a little while to create the model, but then I just had to wait to get a test print done. Since our own DecoyChunk would be getting a 3D printer, I thought it’d be best to wait until he received his unit to print it out. There was only one problem, the model I needed printed was way too thin. 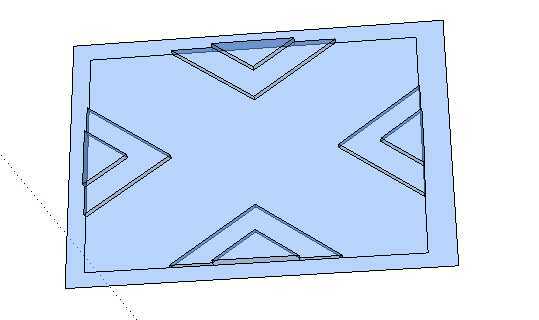 If anything, I’d have to send the file to a third party and possibly have it laser cut. But I didn’t want to spend that much money on what was going to be a prototype, instead I started closely looking at the exposed keyboard and feeling for how the buttons should be placed. After carefully feeling around the keyboard, I decided my initial placement of the buttons was too far off to the left and I would have to stretch my right thumb more than I would like. I moved the NEWS (North, East, West, South) buttons over one grid and relocated the *shoulder* buttons a row further away. I had a new plan of action and before I started on creating the model and spending money on a prototype, I figured I might as well have my way with the keyboard and gut some of the keys that weren’t necessary. It turns out that it’s very easy to dismember the keys from the structure of the keyboard as the keys are only held together via it’s center point. Exacto knives easily got underneath the keys to make a neat cut. At this point, the only keys that remained were ones solely used for the gamepad or needed for system use. 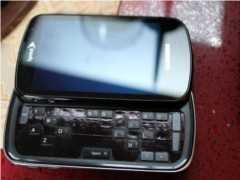 Such as the 1 key, which is needed to enter into recovery mode on the Epic 4G. Here you can see the initial placement of keys. And at the time I was still leaning on using the 8-way directional keypad. This is where I began play testing and I learned a few more things. 8-way dpad isn’t necessary, because the keys are spaced so close that the diagonal buttons actually get in the way. The hardware “back” button needed to be removed. It’s just way to close and when playing gets a little intense, I found myself accidentally hitting it too often. Ha haaa! You make me lmao!! I cannot stop laughing when I see it on youtube. Just tooo… funny dudette, you should totally break some more things……..ha haaaaaaaa!!!!! 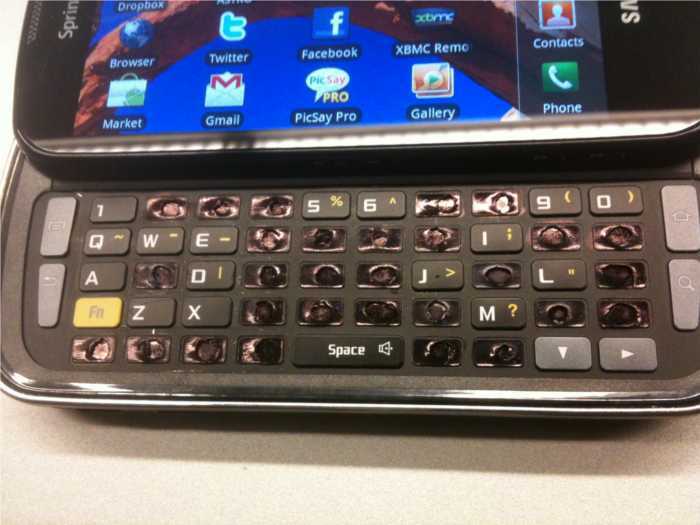 This seems not very well thought out… Why would you physically destroy the phone to accomplish this. Once you have figured out which keys need to represent the gamepad, it makes more sense to make a plastic addon that fits over the keyboard and effectively convert it into a gamepad. The add on would block you from being able to touch other keys while bringing the gamepad controls out away from the rest of the keys. I will post what I mean soon.